What is going on in our brains when we are creating? How does our brain look different when we are engaging in art versus science? How does the brain of genius creators differ from the rest of us? What are some of the limitations of studying the creative brain? The neuroscience of creativity is booming. There is now a society (with an annual conference), an edited volume, a handbook, and now an entire textbook on the topic. Bringing the latest research together from a number of scientists, Anna Abraham wrote a wonderful resource that covers some of the most hot button topics in the field. She was gracious enough to do a Q & A with me. Enjoy! SBK: How did you get interested in the neuroscience of creativity? AA: I have always been curious about creativity. At the most fundamental level I think I simply wanted to get my head around the mystery of this marvelous ability that each of us possesses. In particular, I hoped to find out what makes some people more creative than others. When I saw an opportunity to pursue a Ph.D. in Neuroscience in the early 2000s in any topic of my choice, I went all in—it was an exciting and promising approach that had until then only been limitedly used to explore the creative mind. SBK: What is creativity? Does the field have a unified, agreed upon definition of creativity that you are satisfied with? AA: There is a surprising level of unanimity in the field when it comes to a boilerplate definition. Most experts agree that two elements are central to creativity. First and foremost, it reflects our capacity to generate ideas that are original, unusual or novel in some way. The second element is that these ideas also need to be satisfying, appropriate or suited to the context in question. I am reasonably satisfied with this definition but not in how it guides scientific enquiry. Alone the fact that many of the empirical findings in relation to creativity that make the rounds are not in relation to originality—the core feature of creativity—but to associated factors like fluency and flexibility points to the disconnect that abounds in our scientific discourse. SBK: What are some of the challenges of defining creativity comprehensively? AA: One of the central challenges is to have a definition that can be satisfactorily applied across all manifestations of creativity regardless of whether the "object" being judged is a work of art or a scientific theory or a public policy strategy (and so on). Another stems from the problem of inherent subjectivity when judging and classifying an "object" as one that is less or more creative. What yardstick am I using in such a context? And how similar is it to the one you are using? Do I have enough background knowledge or the necessary expertise as a judge to make that decision? Even if I did, how do the limits of what I know or how I think constrain my ability to recognize instances of creativity in others? SBK: Can creativity be measured? AA: Some aspects of creativity can be measured—yes. The problem is we don’t have nearly enough tools even for this purpose. SBK: Which creativity approach is best suited to the neuroscientific perspective? AA: The influential four Ps conceptualization refers to the approaches that can be adopted in the study of creativity. Approaches focusing on factors that abet or thwart creativity may be external in that they are part of the environment (press/place) or internal in the form of traits and skills that typify the individual (person). These are distinct from approaching creativity in relation to the mental operations that transpire during creative ideation (process) and the outputs thereof (product). The neuroscientific perspective falls under the wider umbrella of the physiological approach and I maintain that this constitutes the fifth "P" of creativity as it is an approach in its own right with its own methods of study and unique insights that it affords about creativity. The book I wrote is a testament to this view. SBK: What are some unique problems faced in the neuroscientist study of creativity that aren’t faced in other complex aspects of human psychological function that lend themselves more easily to objective scientific inquiry? AA: There are several. The most significant problem is that one cannot prompt creativity. For many rather complex functions, you can quite simply cue a response with an appropriate question. One can determine if a person remembers a particular event (what did you do on your last birthday? ), knows a fact (how many rings does Saturn have? ), experienced a stimulus (can you hear the police siren? ), enjoys an experience (how much do you like cycling? ), and so on. But, as many of us know through our own experience, we unfortunately cannot automatically elicit a cascade of creative thought with a mere prod. We may be trying to be creative when tasked to do so but this is not the same as being creative. SBK: What’s the difference between “brain-to-process” and “process-to-brain” explanation of creativity? AA: The difference there lies in directions of exploration when uncovering the brain basis of creativity. If your starting point is a process that is of special relevance to creativity, such as improvisation, and you examine the brain correlates of the same, you will be undertaking a process-to-brain exploration. One can go the other way around as well—by starting at the level of a brain structure or brain activity pattern that is (or stands to be) of special relevance to creativity. Let’s say we travel back in time and manage to get a hold of Mozart’s brain postmortem. Upon examining it, we discover the habenular nuclei in Mozart’s brain are atypical in some manner. We might see this as reason enough to hypothesize that Mozart’s staggering proficiency in composition may have its roots in the atypicality of this neuroanatomical structure in his brain. This would be an example of the brain-to-process exploration and it is one that has actually been adopted in the examination of Einstein’s brain. AA: Like most persistent myths, even if some seed of truth was associated with the initial development of the idea, the claim so stated amounts to a lazy generalization and is incorrect. The brain’s right hemisphere is not a separate organ whose workings can be regarded in isolation from that of the left hemisphere in most human beings. It is also incorrect to conclude that the left brain is uncreative. In fact even the earliest scholars who explored the brain lateralization in relation to creativity emphasized the importance of both hemispheres. Indeed this is what was held to be unique about creativity compared to other highly lateralized psychological functions. In an era that saw the uncovering of the dominant involvement of one hemisphere over the other for many functions, and the left hemisphere received preeminent status for its crucial role in complex functions like language, a push against the tide by emphasizing the need to also recognize the importance of the right hemisphere for complex functions like creativity somehow got translated over time into the only "creative right brain" meme. It is the sort of thing that routinely happens when crafting accessible sound bites to convey scientific findings. SBK: What are some of the intricacies of frontal lobe function in relation to creativity? AA: Trying to pin down the nature of frontal lobe function in relation to creativity often feels like holding on to a slippery fish. The first thing to bear in mind is that it is a massive heterogeneous structure covering about a third of the neocortex and that different parts of the frontal lobes are involved when we engage in creative ideation. Another feature of the frontal lobe function is that damage to different parts of this brain region results in some disadvantages in creative performance but also with specific advantages. For instance, damage to the dorsolateral prefrontal cortex has been associated with more success in insight problem solving and lesions in frontopolar regions with a greater ability to overcome the constraints of salient examples when creating something new. 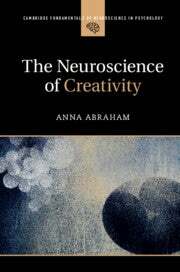 Whether the advantages and disadvantages in creativity are rooted in which specific aspects of creative cognition are being examined, or in the location and extent of lesion site in the brain, or in the dynamics of implicated wider brain networks, are as yet unknown. SBK: What are the differing brain correlates of insight, analogy and metaphor cognitive processing? AA: All these operations of creative cognition have overlapping brain correlates, but what differs are the specific brain regions that are held to be of significance in each of these processes. The role of frontal poles is emphasized in the case of analogical reasoning, the lateral inferior frontal gyrus in metaphor processing, and anterior aspects of the superior temporal gyrus in insight. A clear affirmation of the particular relevance of these brain areas for each of these processes would be to examine all of them within one experimental paradigm. SBK: What happens in our brains when we operate in a creative mode versus an uncreative mode? AA: So far we have only scratched the surface of this big question. What is obvious is that a lot about what triggers a creative mode as opposed to an uncreative mode is situational. The creative mode is called for in contexts that are unclear, vague and open-ended. The opposite is true of the uncreative mode. And so the uncreative mode involves walking firmly along the "path of least resistance" through the black-and-white zone of the expected, the obvious, the accurate or the efficient. Whereas the creative mode involves turning away from the path of least resistance and venturing into the briars so to speak in an effort to forge a new path through the gray zone of the unexpected, the vague, the misleading or the unknown. We know a great deal about the receptive-predictive cycle of the brain in place during the uncreative mode. We know a lot less about the explorative-generative cycle that is in place during the creative mode. But what we do know is fascinating. For instance, several large-scale brain networks that are known to operate in circumscribed ways in the uncreative mode are engaged in an integrative and dynamic manner during the creative mode. Examining creative thinking as a multifaceted construct has greatly improved our understanding of the roles of specific brain regions in specific aspects of creativity such as insight, imagery, analogical reasoning, overcoming knowledge constraints, conceptual expansion and so on. Among the most thought-provoking findings is our ability to engage in creative pursuits despite disorder and degeneration at the neural level. This attests to the disorder-resistant power of the brain in enabling self-expression and communication. SBK: For instance, how can you determine which aspects of a domain, such as music and musicality, are creative and which ones are ordinary? AA: This is a wonderful question that has several potential answers depending on the level of analysis or reflection that is adopted. In the domain of music and musicality that you mention, one can distinguish between the formats of listening, performance, improvisation and composition. If one adopts the standard definition of creativity, then improvisation and composition would be considered the most clearly creative forms given that both evidence the potential invention of original responses. One has to, of course, bear in mind some caveats here: that all improvisation is not necessarily creative, for instance. But there is good reason to also consider musical performance as a creative endeavor given that original responses are possible not only at the level of invention but also at the level of expression. This is after all among the key reasons why some musicians can command a higher ticket price than others—because of their originality in interpretation and expression. Some scholars go even further in claiming that even the act of listening to music can also be plausibly regarded as a creative enterprise. This is because the power to discern originality in the response patterns of others—via musical invention/expression—necessarily involves expanding one’s own conceptual boundaries in the process. SBK: How are dopamine, neurological functioning and creativity related? AA: There is indirect evidence to suggest that the association between these factors is a promising one but further and more direct investigations are necessary to ascertain the nature of this relation. The idea that dopamine exerts an influence on motivational facets of the creative drive was pointed out most prominently by Alice Flaherty in the early 2000s. Contemporary formulations by the research group led by Carsten de Dreu emphasize the need to distinguish between prefrontal dopamine and striatal dopamine as facilitating different aspects of creative ideation, namely persistence and flexibility respectively. SBK: In general, how do the neurological correlates of artistic engagement—composing a melody, writing a poem, painting a picture or choreographing a dance sequence— differ from what occurs in the brain when we generate a new theory or a scientific hypothesis? AA: We know surprisingly little about the neurological correlates of scientific creativity. It simply has not been investigated nearly enough in a direct manner. But we can derive sound expectations from what we know about the brain basis of different types of reasoning and problem solving processes as well as from behavioral studies. The latter point to the importance of accruing knowledge beyond one’s field of expertise, the ability to focus on the unexpected, and the relevant influence of group factors in the work context. Research on different artistic forms of creativity (musical, literary, kinesthetic, visual) are similar in emphasizing how the relevant perception, imagery, cognitive and motor skills become heightened as a function of expertise, the unique experience of flow as well as the vital dynamism between exteroceptive and interoceptive factors during creative performance. The relevant brain networks that underlie these functions are thereby implicated in the same. One must also bear in mind that there are several differences between the artistic creativity forms in terms of temporal properties of the creative experience, levels of social isolation associated with creative practice, the creator-recipient relationship, the propensity for mental illness, and so on. As it currently stands, the brain basis of creativity with regard to the distinct creative domains is still at the nascent stage. This is primarily because there are serious challenges to neuroscientifically examining domain-specific forms of creativity. They typically involve gross motor action (kinesthetic creativity) or fine motor action (musical creativity, literary creativity, visual artistic creativity), and most neuroscientific methods are not conducive to a great deal of movement. Temporal factors also pose significant stumbling blocks in this regard. Neuroscientific methods are great at capturing the workings of the brain as derived from neural activity in short-term present. But the creation of a formidable work of art, a skillful performance, or a novel scientific theory all transpire over extended and variable periods of time. So the neural basis of these is less well known. Luckily for us increasingly more scholars are inventive in being able to tap creative processes across domains by using oblique approaches. So a fascinating picture is slowly unraveling. * SBK: Here is just a partial list of some of the incredible scientists who are currently attempting to unravel the mysteries of the creative brain: Roger Beaty, Mathias Benedek, Shelley Carson, Evangelia Chrysikou, Andreas Fink, Liane Gabora, Adam Green, Emanuel Jauk, Rex Jung, James Kaufman, Yoed Kenett, Simon Kyaga, Charles Limb, Aki Nikolaidis, Daniel Schacter, Hikaru Takeuchi, Oshin Vartanian, Indre Viskontas, Darya Zabelina.